This audio ebundle includes all fourteen episodes of the Audio Verse Award-winning podcast series, plus exclusive bonus content, including the live staged reading of the prequel episode, "Deputy"; a round table discussion with the creators; and more. Dakota "Dak" Prentiss guards the biggest secret in the world. They call it "Moss". It's your standard grey alien from innumerable abduction stories. It still sits at the controls of the spaceship it crash-landed 11 years ago. A secret military base was built around the crash site to study both Moss and the dangerous technology it brought to Earth. The day Matt Salem joins her security team, Dak's whole world changes. It's love at first sight - which is a problem, since they both signed ironclad contracts vowing not to fraternize with other military personnel. If they run, they'll be hunted for what they know. Dak and Matt have only way to be together: do the impossible. Steal Moss and sell the secret of its existence. And they can't afford a single mistake. This program is read by Ashlie Atkinson, Nat Cassidy, Hanna Cheek, Rebecca Comtois, Jorge Cordova, Sol Marina Crespo, Reyna de Courcy, Neimah Djourabchi, Autumn Dornfeld, Abe Goldfarb, Jason Howard, Daryl Lathon, Kelley Rae O'Donnell, Mac Rogers, Seth Sheldon, David Shih, Brian Silliman, Tarantino Smith, Jennifer Tsay, James Wetzel, Brittany Williams, Jordana Williams, Sean Williams, and Christopher Yustin. This is one of the coolest pieces I've listened to in a long time. 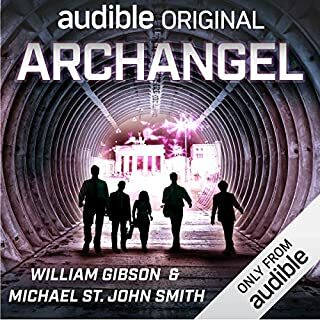 As someone who listens to a lot of sci fi and audiobooks in general, I have to say this has really raised the bar on what I expect from a production. This was an exciting listen. The cast didn't just read their lines, there was emotion and personality in each voice actor's character. And the story was exciting, full of details that filled the mind's eye. And, I loved the sound effects which completed the scenes with their own little details. There are book reviews on Audible where people express annoyance at sounds or music between scenes. And, sometimes it is done clumsily. But when it is done right, it adds to what we can get from an audio experience. 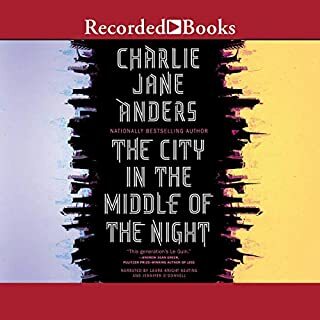 Some of my favorite narrators are also actors and it is obvious that their acting background only enhances the listening experience - they manage to flesh the characters out with pauses, or inflections, or emotions. Some have the ability to do a variety of accents. 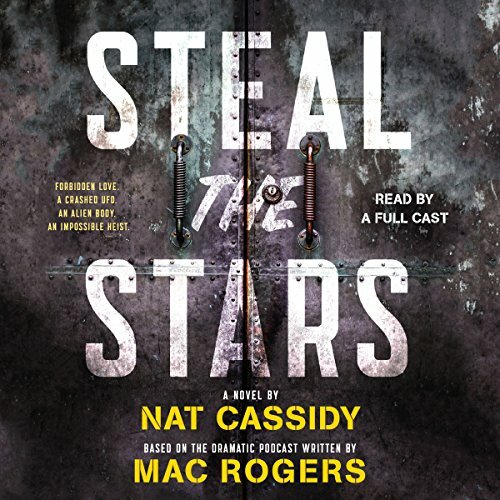 Steal the Stars doesn't have one talented actor narrating, there is an entire cast of actors doing various characters. It's delicious! 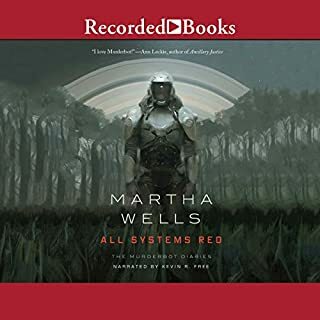 Right now, I found this audio book in Romance - Sci Fi. And only 4 feedbacks, and an average rating of "3" - which is awful! 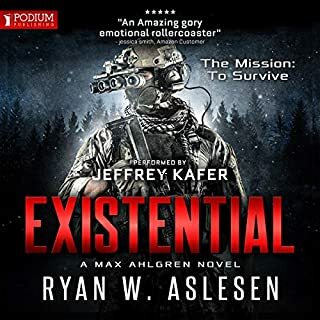 I wonder if this book was in another category - like Science Fiction, or whatever category ex-military or adventure stories would be in - if the ratings would be better. I can't imagine that someone looking for "Romance" is going to find this book fulfilling. Audio dramas are fun to listen to. I actually prefer audio comedies (Cabin Pressure, Ladies of Letters) and there are some audio books that have dabbled in the use of sound effects and done well (Koban Universe - but only the first book in the series) and some that are just okay - maybe they needed better equipment or someone with more talent. This is well done - the production quality is high, the talent is wonderful, and the story is gripping - twisty - unpredictable. The story was not what I expected and it took directions I didn't expect. Yes, there is a love story between a man and woman that threads through, but this is a lot more than a "romance" and I hope it will be moved to another category where it can be found. It's great! And, at the end of the audio drama is a Bonus interview or round table discussion. Also fun. 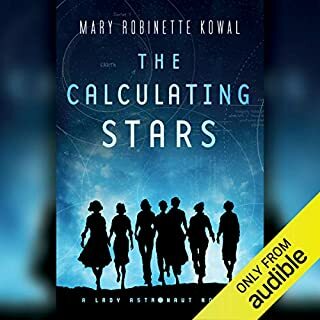 I just finished listening to this book! OMG! I didn’t want to stop. 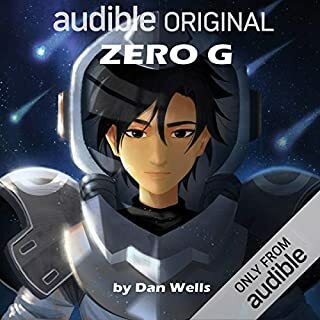 This is what all audio books should be. Loved the cast! And the limited sound effects. Graphic audio books are too filled with sound effects. This book hit the right balance. I really hope this gets turned into a movie at some point, so more people will read the book / listen to the audio book. The story was compelling and fast paced. I feel for the characters quickly, hate and love. The characters also seem to be suffering various different PSTD or mental conditions - yet they are all presented in believable ways.